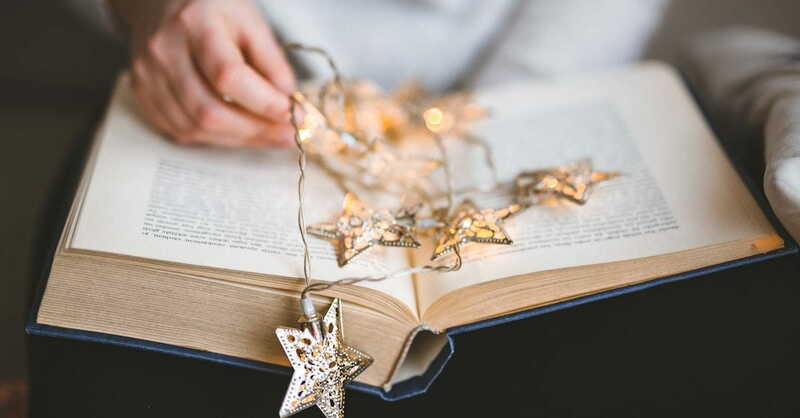 What Are Advent Readings & Why Are They Important? It’s the most wonderful time of year, isn’t it? And while some scoff at carols being sung on the radio before December 1, Christians throughout history have embraced this season of spiritual preparation using Advent readings—short Bible passages read during the lighting of the Advent wreath. This sacred time invites us to slow down from all the holiday preparations and parties, take a deep breath, and remember the reason for the season: the eternal Jesus Christ taking on human flesh. But how do all the different parts of Advent work together, and how can you incorporate Advent into your church or family life? That’s what this article will help you figure out, specifically guiding you through the practice of Advent readings. 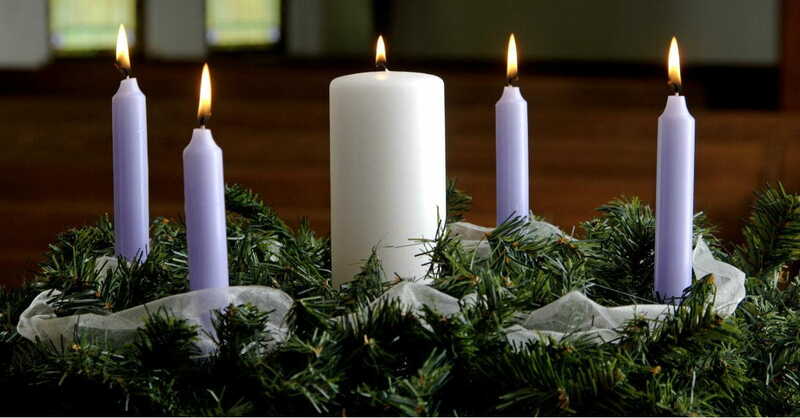 What Are the Four Sundays of Advent? If you’ve ever struggled to keep the four Sundays of Advent straight, you’re not alone. For hundreds of years, faithful Christians have observed the four weeks leading up to Christmas Day as a special time to prepare their hearts, but these practices have changed over time and place. The first mention of Advent is found in ancient writings dating back to the sixth century, with some anecdotal mentions as early as AD 380 at the Spanish Council of Saragossa! So not only is it an old Christian practice, but it’s also a very personal one, as churches have adapted the practice to suit their local parishes. So while there’s no authoritative guide to Advent, we can find some commonalities in the ways churches have practiced the observance of Advent throughout history. While the differences in weekly Advent themes may be confusing, we can unite in our desire to quiet our hearts during a hectic holiday season and worship Jesus. And the good news is that you can definitely mix and match these weekly themes with various Advent readings that will best serve your congregation or your family. There is no right or wrong way to observe Advent as long as you’re coming to God with a sincere and open heart. Twinkling lights and candles everywhere remind us that Jesus is the light of the world that came to dispel the darkness. That theme of light is what originally gave birth to the Advent wreath hundreds of years ago in Lutheran Germany, and it’s become a beloved tradition in many churches and homes. The Advent Wreath is typically an evergreen wreath containing five candles, each lit on successive Sundays during the Advent readings. Some variations of the Advent wreath include different colors to correspond to different themes, while others keep the candles a simple white. As it’s practiced in church services, the Advent wreath is usually lit at the beginning of the weekly service with its accompanying Advent reading from the Bible. However, many families choose to create an Advent wreath and set it on the dinner table or mantel, lighting the candles and using that family time to remind themselves and their children that the Christmas season is first and foremost about Jesus. Other families set the Advent wreath on their mantel. Again, the beauty of this tradition is that you can make it your own, as it suits you and your family. 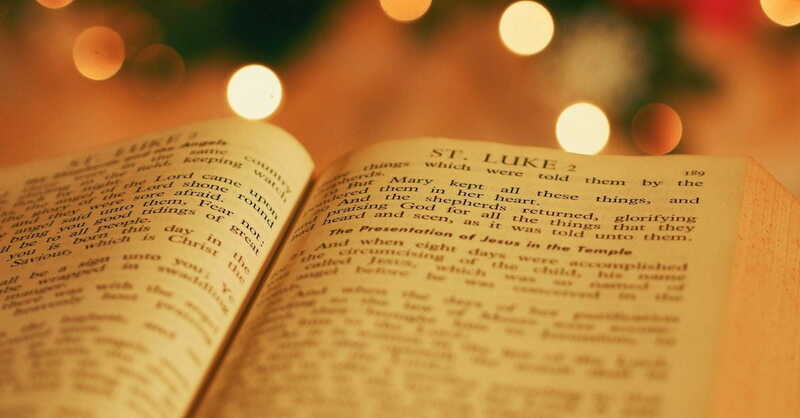 As you’ve probably realized by now, the Advent readings themselves also vary among church denominations and traditions, depending on their weekly themes. 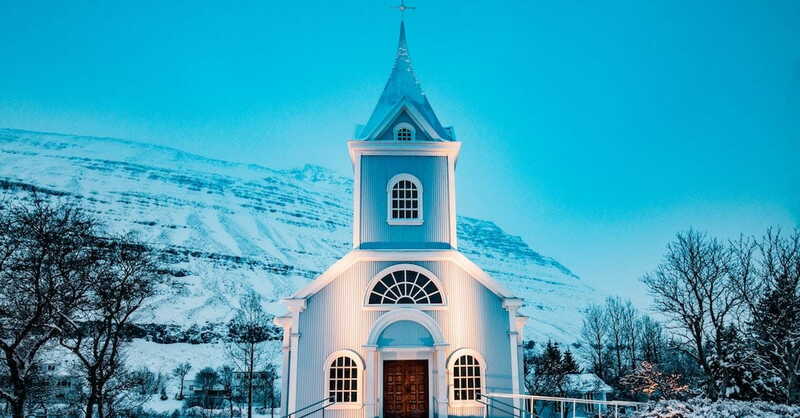 Some churches, especially in Catholic traditions, read exclusively from the book of Isaiah, while other churches choose passages that correspond to the weekly theme, from either the Old Testament, New Testament, or the Psalms. 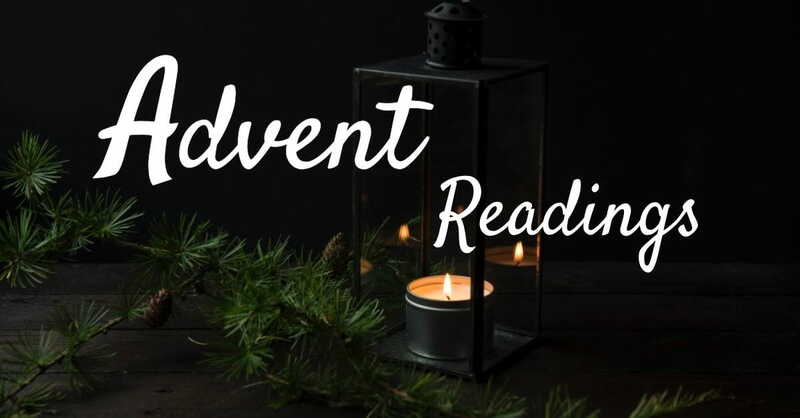 Below you’ll find a sampling of Advent readings that correspond to each weekly theme. Who Should Read the Advent Readings? One of the beautiful things about the Advent readings above is that they offer churches the opportunity to include both young and old into their services, and the same can be true of private family devotions around the Advent wreath as well. By this point, you’ve probably realized that there is no set criteria for who should read the Advent readings in church. In some denominations, the lead pastor or worship leader may read the Advent reading, as a way of leading the congregation in worship. Alternately, some churches post the Advent readings on large screens to prompt the congregation to read the passage together out loud, in a call-and-response format, as a means of worship. But many Evangelical churches see the Advent readings as a great way to invite young families to participate, dividing the text among parents and children, getting the whole family involved. Those who choose to incorporate this practice in their homes for family devotions often structure the Advent readings in a question-and-answer format, with a child prompted to ask questions and the parent answering those questions with Scripture. And the adult may answer, “This candle reminds us of the promise that a Messiah would come, bringing peace and love to the world.” And then reads the appropriate Advent reading from Isaiah 9:2-7. Gratefully, there are some wonderful Advent devotionals on the market that make this an easy practice for families today. Are There Any Daily Advent Prayers or Devotionals? Are you looking for weekly Advent readings (like for a church service) or daily readings (for personal or family devotions)? Do you want just the Bible text written out, or do you want a devotional to go with it? How long or short do you want the daily Advent reading or devotional to be? What age range or reading level are you looking for? What other extras do you want it to include (like prayers, family devotional guide, service activities, etc)? Will this book leave you with a deeper love for Jesus or just a warm feeling that will quickly go away? Of all the questions above, that last one deserves the most attention, because unless we’re growing in our love and knowledge for Jesus, frankly, we’re wasting our time. And goodness knows the Christmas season is busy enough without fluffy devotionals that do little to transform our hearts. That’s why I wrote Unwrapping the Names of Jesus: An Advent Devotional. 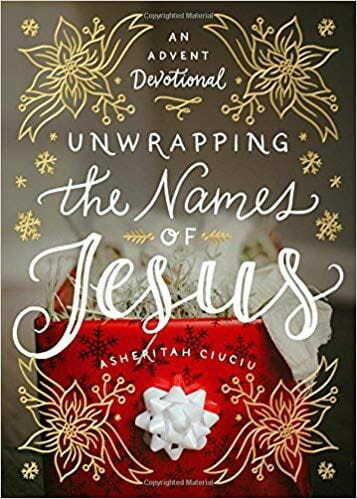 This beautiful little book is packed with short daily devotionals that lead readers into a deeper love for Jesus, as we unpack each of His Names throughout the Advent season. Divided into the four weeks of Advent, Unwrapping the Names of Jesus features a weekly family/church devotional guide (including Advent readings, suggested carols, and prayers), daily devotionals featuring a different name of Jesus (like Resurrection and the Life, Word of God, Light of the World), daily prayers and challenges, and family activities to bring new meaning to favorite Christmas traditions. If you’re looking for a book to deepen and enrich your Advent experience, something that’s accessible to preschoolers and grandparents alike, you’ll want to order a copy of Unwrapping the Names of Jesus. May your Christmas season be blessed with a growing love for Jesus, in your life, your family, and your church community this year! ASHERITAH CIUCIU is an author, speaker, and blogger. She grew up in Romania as a missionary kid and studied English and Women's Ministry at Cedarville University in Ohio. Her passion is helping women find joy in Jesus through a deeper walk with God, and she shares personal stories and practical tips on www.OneThingAlone.com. She's also a regular contributor to FortheFamily.org and Ungrind.com.